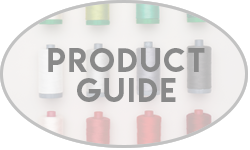 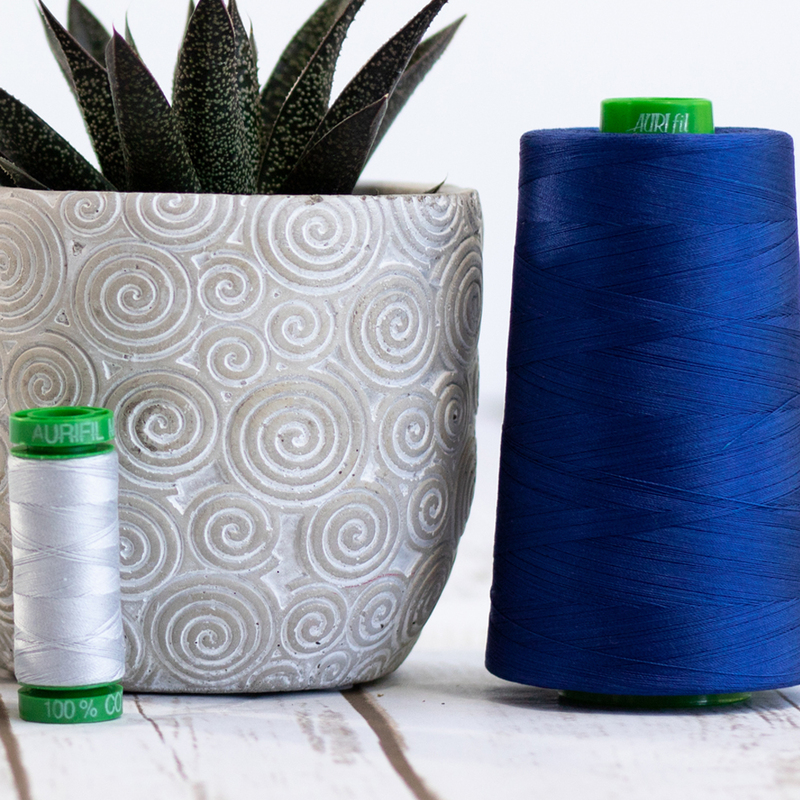 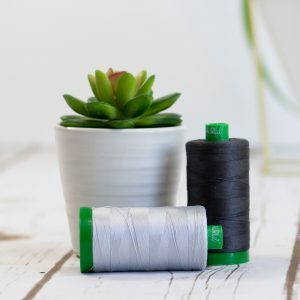 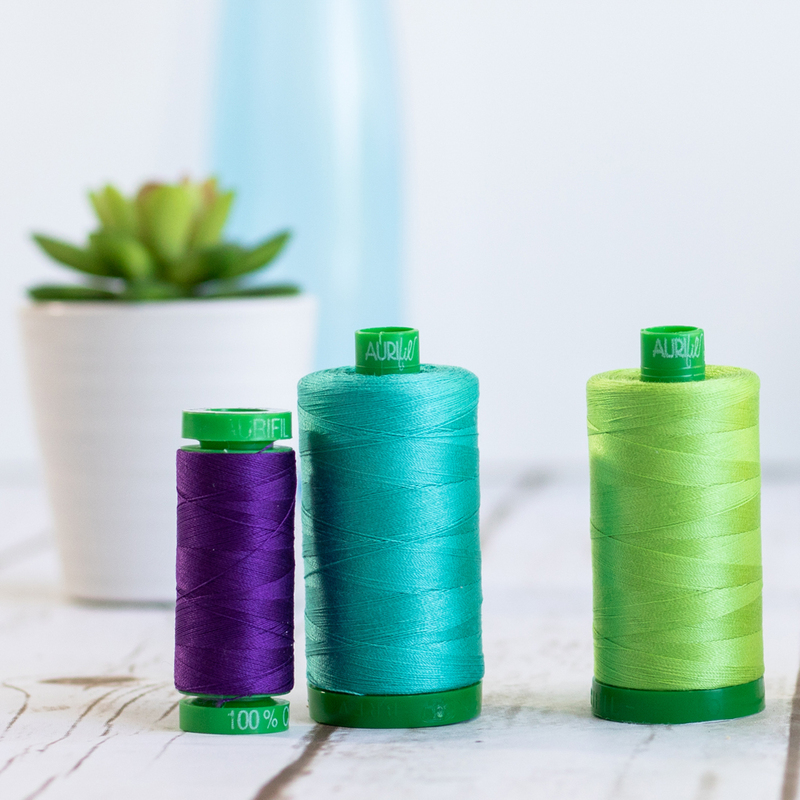 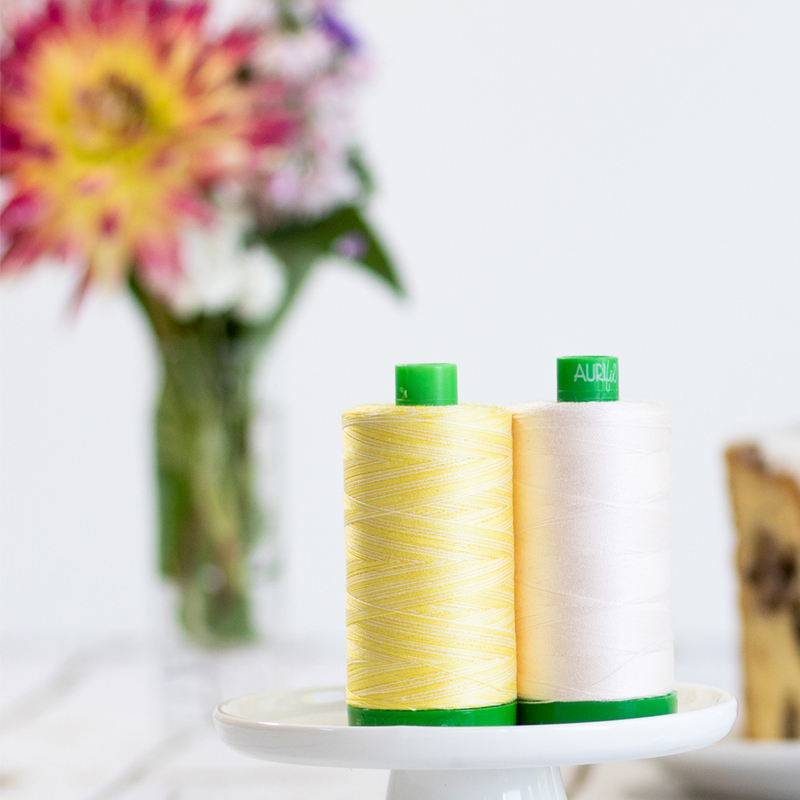 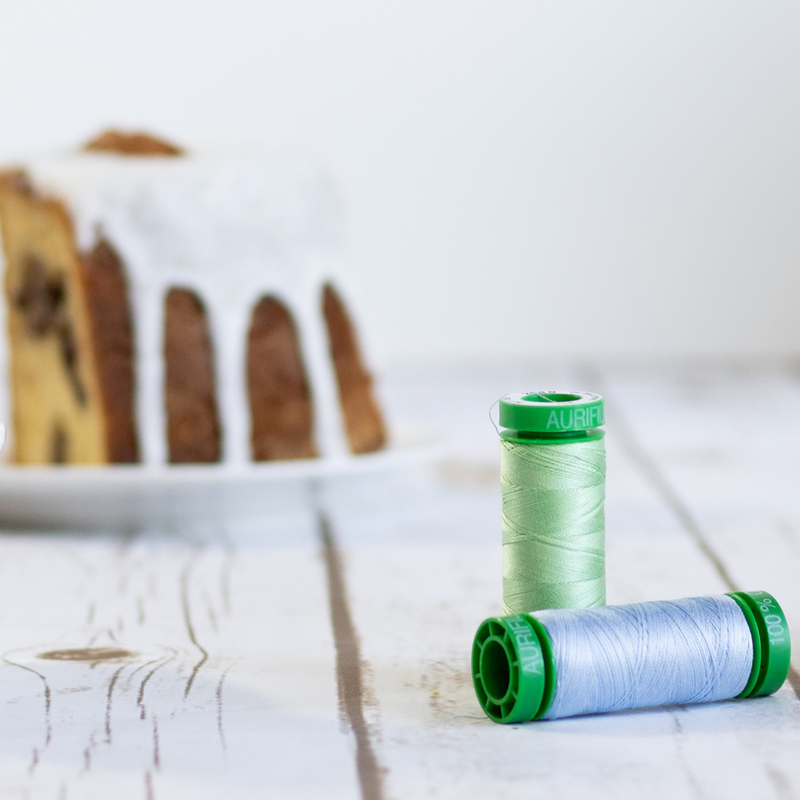 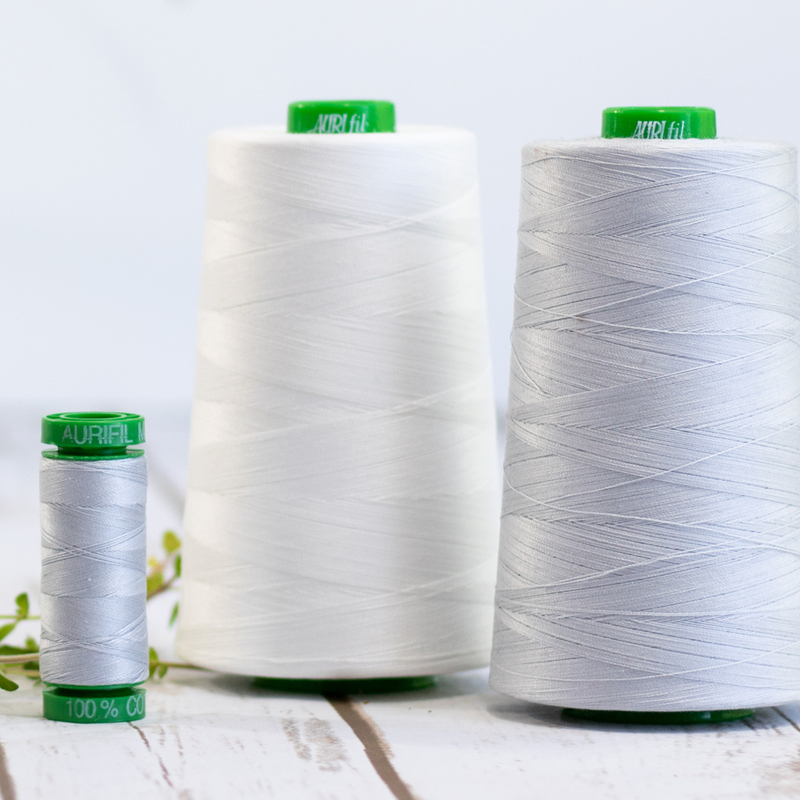 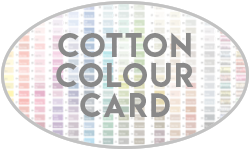 Aurifil’s 100% Cotton 40wt thread is available in all 270 of our Cotton colors and is wound on a green spool. 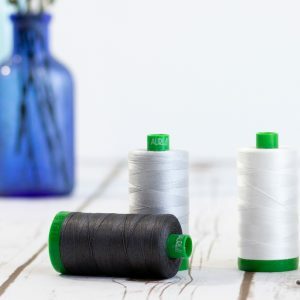 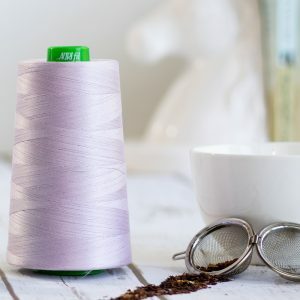 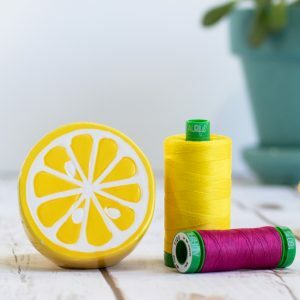 Because of its slightly thicker weight, it is perfect for use with sewing bags, toys or dolls, garments, or when a more defined topstitching or quilting pattern is desired. It is also terrific for Single, Double or Triple Strand Cross Stitch, Hand Piecing, Bobbin and Machine Lace, Machine Applique, Machine Embroidery, Edge-to-Edge, Pantographs, and Custom Longarm Quilting. Single, Double or Triple Strand Cross Stitch, Hand Piecing, Bobbin and Machine Lace, Machine Applique, Machine Embroidery, Edge-toEdge, Pantographs, Custom Longarm Quilting.